A wedding is the beginning of your life together; bonding of your families; creating of memories that will live forever. Let Gulf Coast Wedding Chapel design the celebration of a lifetime for you. We will hear what is in your mind to give you the wedding that is in your heart! 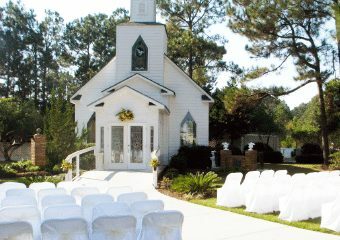 Gulf Shores Wedding Chapel is a full service wedding venue that designs the wedding & reception of your dreams.